Its been so long since I did one of these. I've been lax with listing and pinning and only had a handful of sales since then. Paid .25, sold for $4 just as I was about to put it in the yard sale. eBay is running a great promotion through the middle of next month so I hope to list a lot without the time crunch. Oh I almost forgot! Remember those free chairs I got last year? 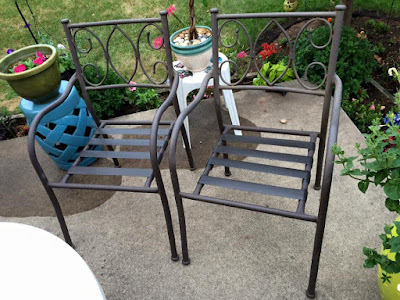 I sold them on my facebook group for $15 to cover the cost of my new green chairs! After tax they came out to about $1 each and are so comfy!